Design and construction management of the 15,000sf facility including ISO Class 7 and 8 cleanrooms. Facility was built to meet both EU and FDA guidelines, and cleanrooms were built to meet Grade C and D, clean non classified requirements. Hodess was responsible for the fitout of the entire space including offices, locker rooms, cafeteria, and conference areas. HCC reinforced the existing steel to support the new AHU’s, exhaust fans, and equipment screens. 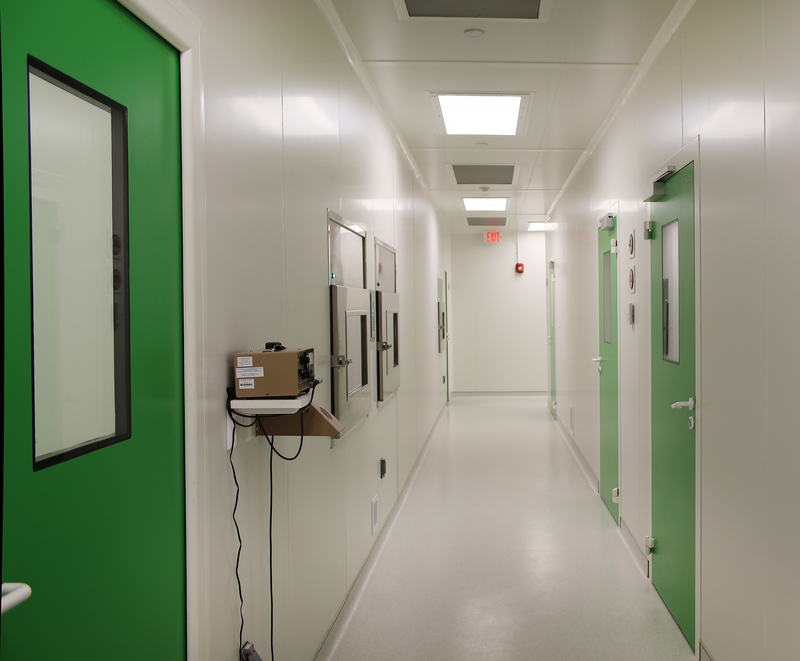 Cleanrooms were built with Dagard modular pharmaceutical wall systems, including an area of walk-able ceilings. HCC had to remove interior slabs and install new reinforced slabs in order to support owner equipment. Vinyl sheet flooring was installed through the manufacturing space, with seamless cover base.